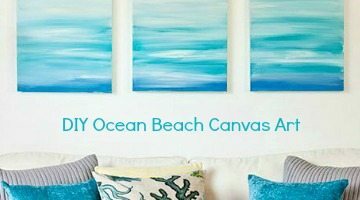 Give your home a soothing beach vibe with easy DIY ocean canvas art! Designer Tara Dennis shows you how to create a stunning ocean triptych in a step by step tutorial. 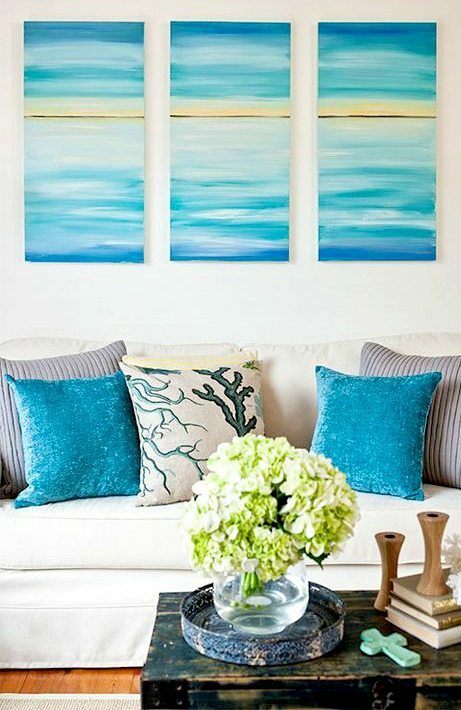 I think the ocean triptych looks amazing above the white sofa. Just brush and blend soothing, blue sea-inspired colors with horizontal strokes! Then Designer Tara Dennis balances the Ocean Scheme with comfy Beachy Pillows and a Cozy Throw that picks up the yellow in the canvas, mimicking a sunrise. 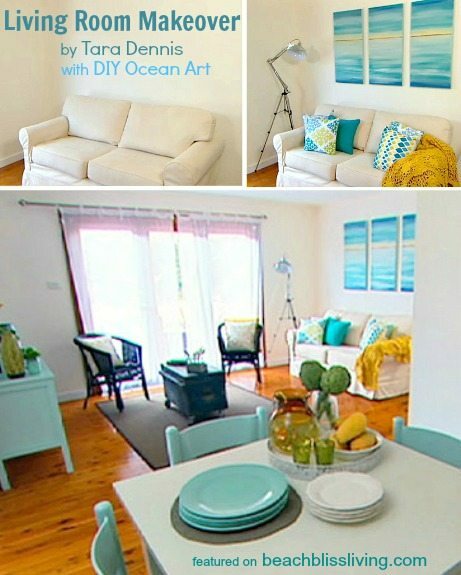 For Tara’s step by step DIY ocean art tutorial, head over to Better Homes and Gardens Australia! And for more examples of DIY ocean art (and tutorials), see these Ocean Paintings on Completely Coastal! 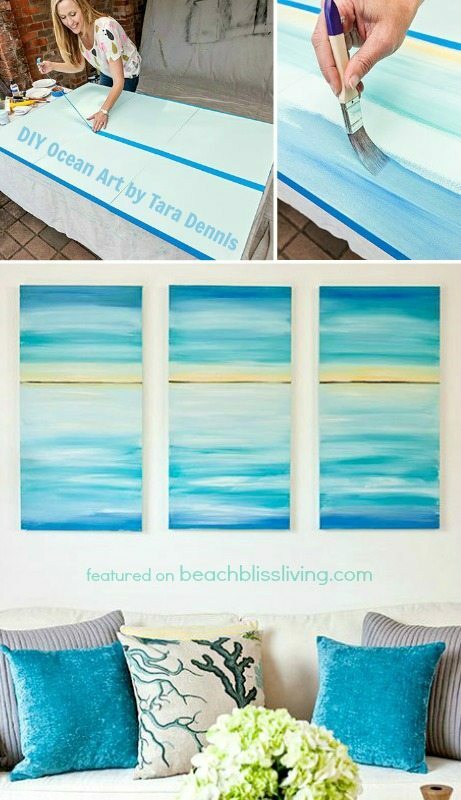 I am trying to find the step by step tutorial for Tara Dennis’s DIY ocean canvas art. Thank You! Hi Jen! I provided the link to the tutorial in the text! Here it is again: https://au.lifestyle.yahoo.com/better-homes-gardens/craft/h/17161186/how-to-make-a-seascape-canvas/ Feel free to post your masterpiece to my facebook page -would love to see it!